Books are a huge part of Adina’s life! Before she was born, we asked guests at my baby shower to bring a book in place of a card and to write a special note inside. By the time she was born, we already had a full bookshelf full of books in her nursery! Fast forward 2 years and her collection has only grown bigger and bigger! We look forward to reading 3 stories before bed each night and Adina loves picking out her favorite books. In anticipation of special days on the calendar and holidays, we’ll read specific books to get excited. For example, before her birthday, we read lots of books about birthdays and leading up to Chanukah and Passover, we read books with those themes. In honor of Women’s History Month, I wanted to share some of our favorite feminist books that I’ve been reading with Adina. I love this board book! It is part of a series (there’s another about Michelle Obama) and is all about Ruth Bader Ginsburg. Each page shares a little bit about her qualities and personality traits and how she is a feminist. What an awesome role model for little girls! This is actually a series of 4 books that come in a little box. Each of the books has a different theme - Activist, Leaders, Artists and Pioneers. They highlight women from history and share about who they are and what they did. 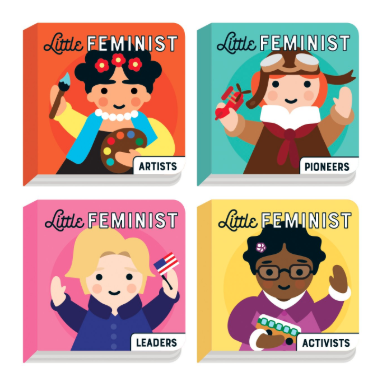 Very colorful, fun illustrations of each feminist too! 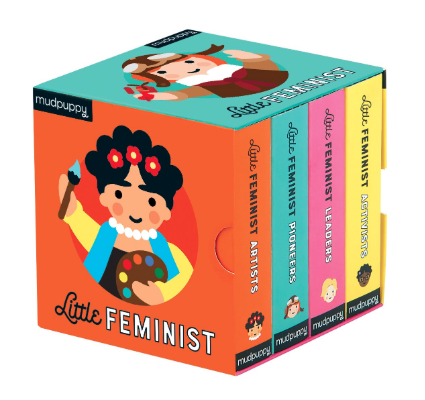 A cool way to expose children at an early age to feminists throughout history. This would make a great gift for young girls and boys. Although I wouldn’t pick this book for a baby or a toddler because it is a little bit long, I think it would great for 3+ years. The book talks about Elsa Schiaparelli’s life and has an amazing message for young girls. It is all about how she overcame many obstacles to become a successful fashion designer. The colors and illustrations are so bright and vibrant too! When Juno Valetine’s favorite shoes go missing one day, she stumbles upon a magical room filled with every kind of shoe she could possibly imagine! It leads her on an epic adventure where she steps into the shoes of female icons from Frida Kahlo and Cleopatra to Lady Gaga and Serena Williams. I love the girl power message of this modern fairytale and with magical illustrations to match, it’s no surprise that Juno Valentine is one of Adina’s favorite books! 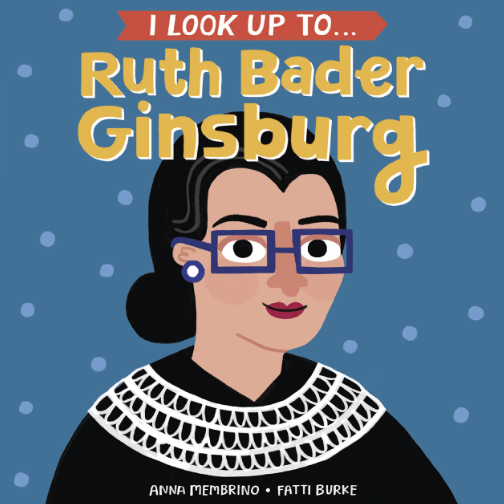 It’s never too early to introduce your child to people you admire, especially feminist icons! Happy Women’s Month! And happy reading!